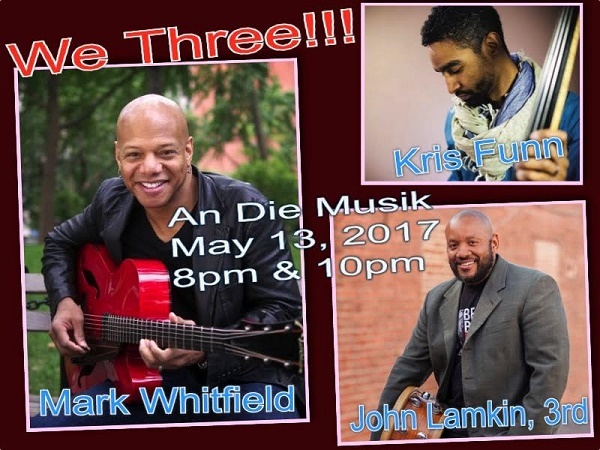 charmcityartsmaven: NEXT WEEKEND @ AN DIE MUSIK LIVE! 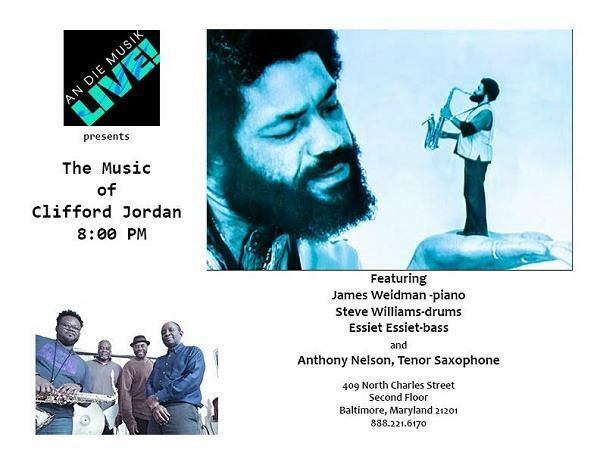 This concert, led by James Weidman and Steve Williams, celebrates swinging and beautiful music of Clifford Jordan, a tenor saxophonist born in Chicago. As writer Ted Panken expressed, Jordan’s narrative gifts (included) his lyricism, wit, mastery of changes-playing and vocalized tone, broad and burnished at all tempos and harmonic contexts, equally comfortable deploying the bright colors of the upper register and the dark hues of the tenor’s bottom. His compositions were perfect vehicles for his excellent artistry. John Lamkin, III, has been recognized by, toured, played and recorded with a number of exceptionally talented recording artists. He maintains a deep respect and appreciation of those who’ve set standards in the music world. Kristopher Funn was born and raised in Baltimore. Through the instruction of his father, Charles Funn, Kristopher performed his first professional bass gig the same year he began learning the instrument. At age 23, Kristopher began touring internationally with alto saxophonist Kenny Garrett. Since then, he has traveled to every major jazz festival in the world touching six continents.